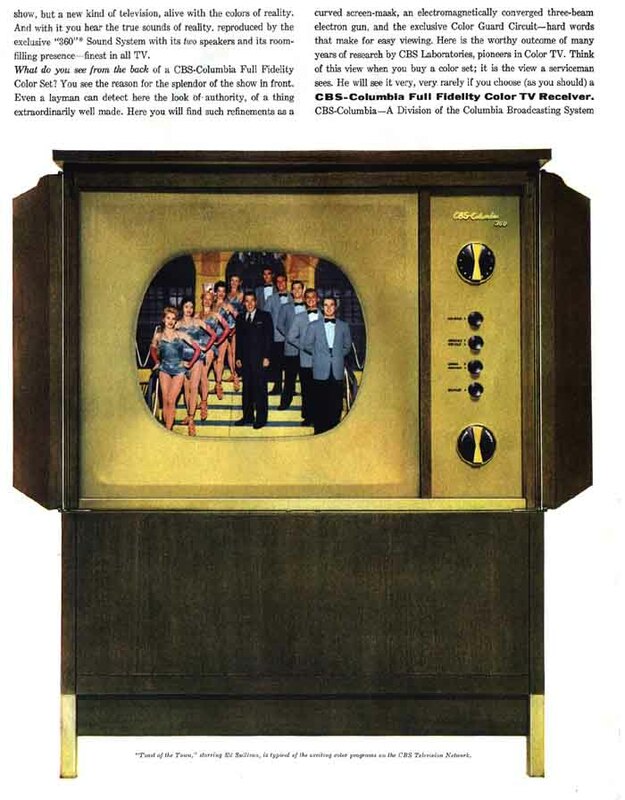 1954 CBS-Columbia, Model 205C2 Color Television -- Full Door Console $1100, Open-Face Console $1000, and table model $950, including Federal Tax and warranty. 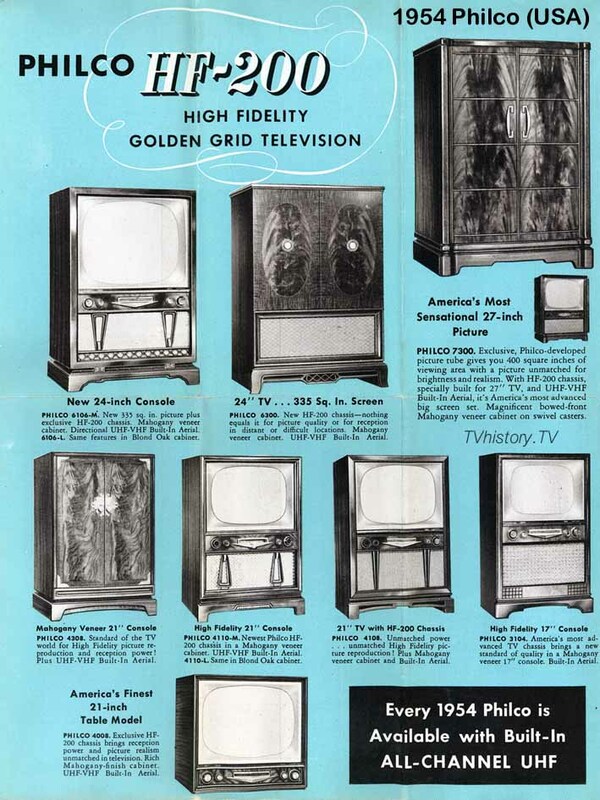 (432K) - 1960 General Electric Tube Price list shows the 15GP22 color picture tube for a whopping $265.00 -- The only other color CRT listed was the 21AXP22A for $160.00. 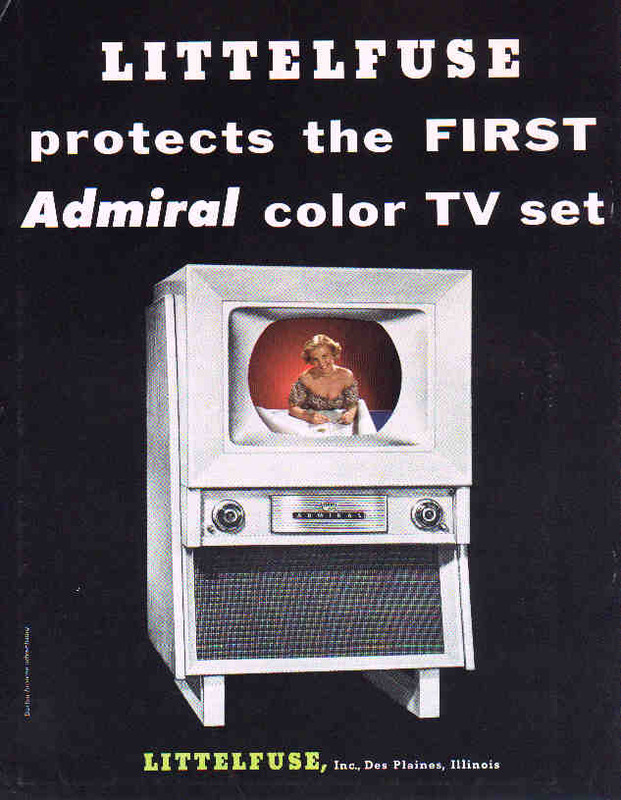 Most other B&W CRTs were around $50.00. 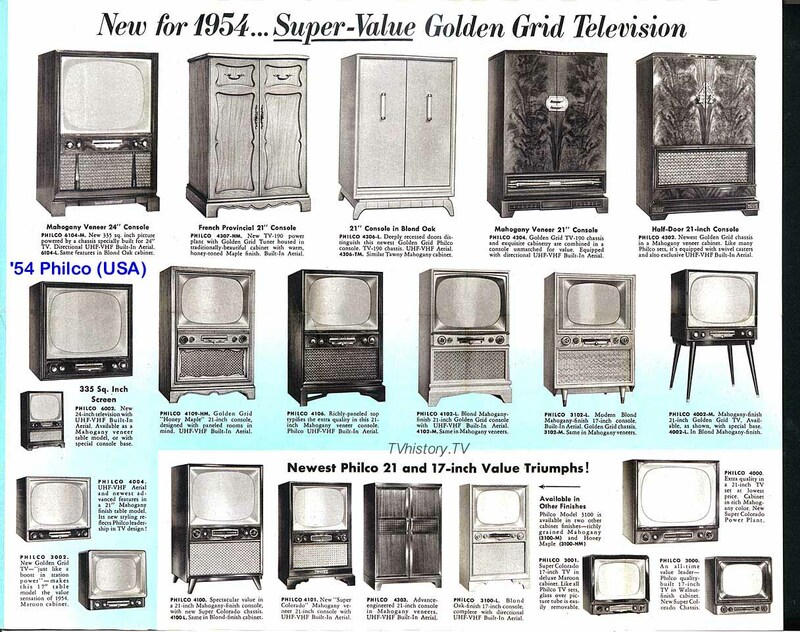 Vacuum tube sets had about a 25-year post-war manufacturing run (1947 to 1972), before transistorized sets began to make their way into the American marketplace. 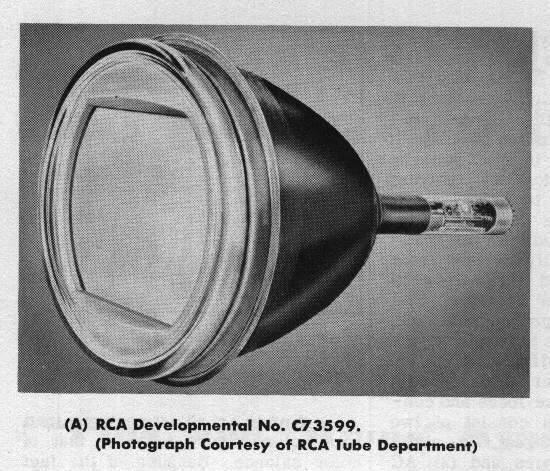 1960 was the 'heyday' of tube sales. 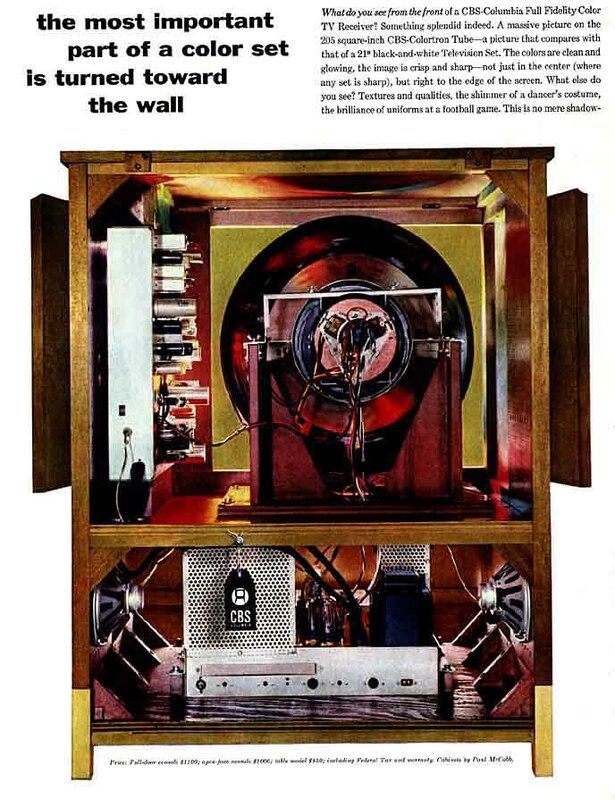 Tube-testers were in most drug stores, and the public tried 'tube-testing' and replacement as a way to cut-down on expensive house calls by TV technicians. 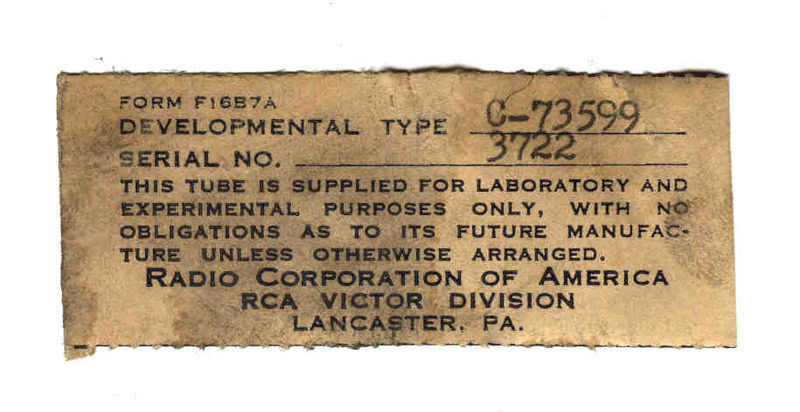 By the way, for those who may not be familiar, the European word for a vacuum tube is "valve".